I am taking the On Line Class Clean and Simple Card Making. 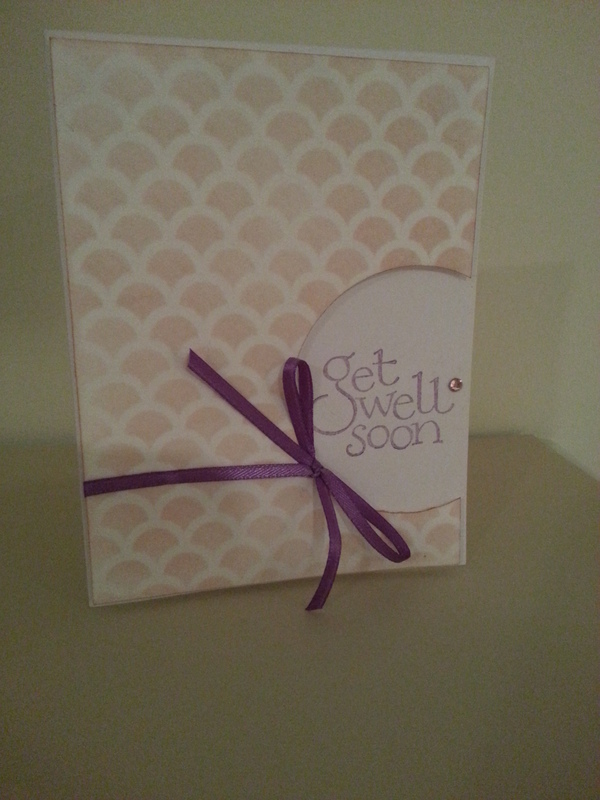 Today I made a get well card for a friend using the strategy taught in lesson 1. I made my own mask using my silhouette cameo. It cuts extremely well especially for all the tiny cuts in this cut. I think it might have been one of the freebies that came with my silhouette cameo. I used Tim Holtz lavender distress ink for the mask and sentiment. I am loving this class and all the new strategies I am learning. The videos are well done and they include PDF if you want to have a paper copy. I think my friend will enjoy this card. I hope it brightens her day. 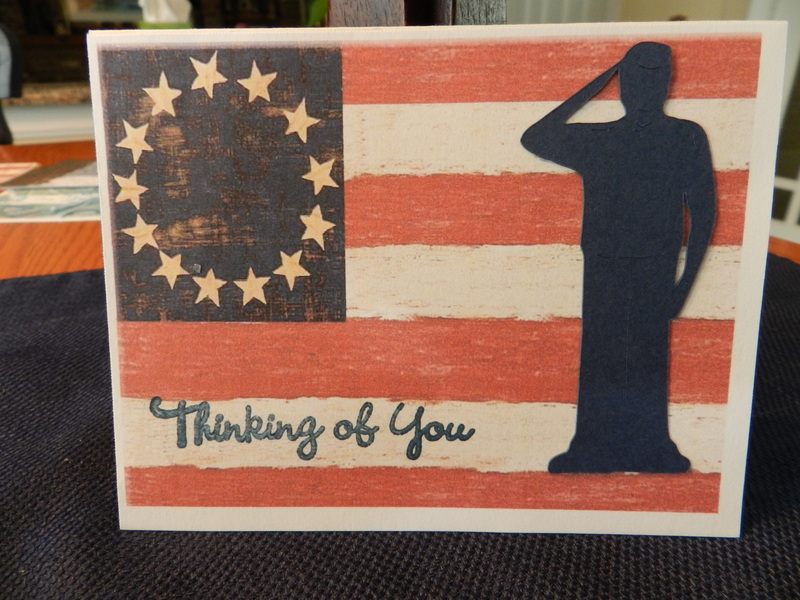 I used the cricut Stand and Salute cartridge to make Patriotic Thinking of You cards for Operation Write Home. I also made several with a female soldier. They requested cards with Patriotic themes and general sentiments that can be used for love, thinking of you, congratulations, miss you etc. These cards can be used for all of those. http://www.heartmadelife.com/selflessness/ I am going to help Matthew meet his goal. Please consider helping also. Cards do not need to be fancy. They could be for a young child, middle schooler or teen. 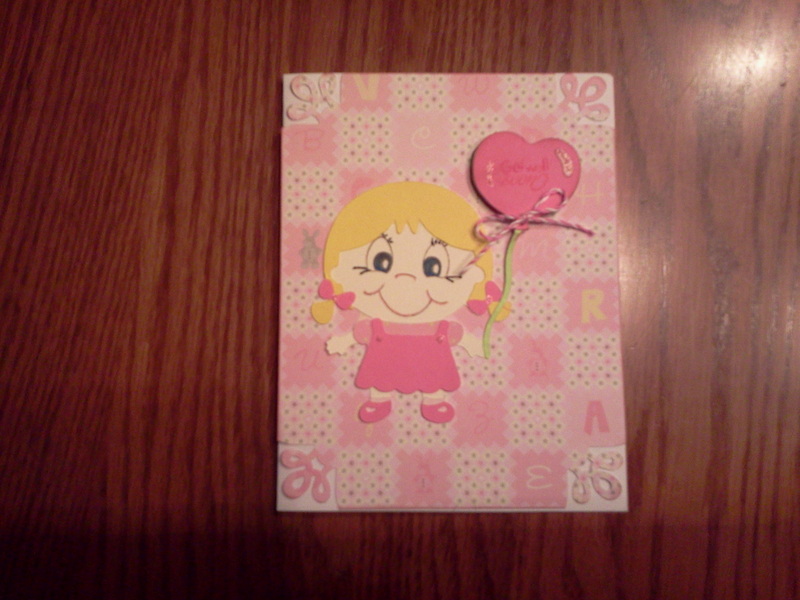 A card I made for a friend’s little girl who had surgery. Used Cricut Baby Steps, Peachy Keen face stamp and My Creative Time mini sentiment, Martha Stewart punch and scrap papers.